180 Nutrition exists to help turn your health around by doing what we do differently. Each week we connect with the worlds best leaders in health, leading-edge science, nutrition and wellness to filter out the confusion and provide the very best health advice. We’re not about fad diets or gimmicky programs, we’re about simplicity and authenticity. We’ve distilled this knowledge into the ‘Turnaround Health Pack’ below. 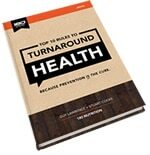 Unravel the confusion around health & nutrition once and for all with this easy-to-understand 26 page guide. Greatly improve energy, body shape, vitality and more and learn the top 10 rules from the experts. Smash the common misconceptions that may be holding your health back. Also includes additional links to most popular articles & podcasts. Counting calories does not work, low fat foods make you fat and why many health foods are actually unhealthy! 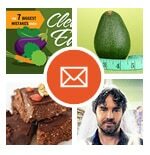 Each week we’ll deliver fresh content into your inbox featuring amazing articles, delicious healthy recipes, expert interviews and our latest podcast guests (with over 1 million downloads). You’ll also have access to the latest 180 Nutrition promotions.